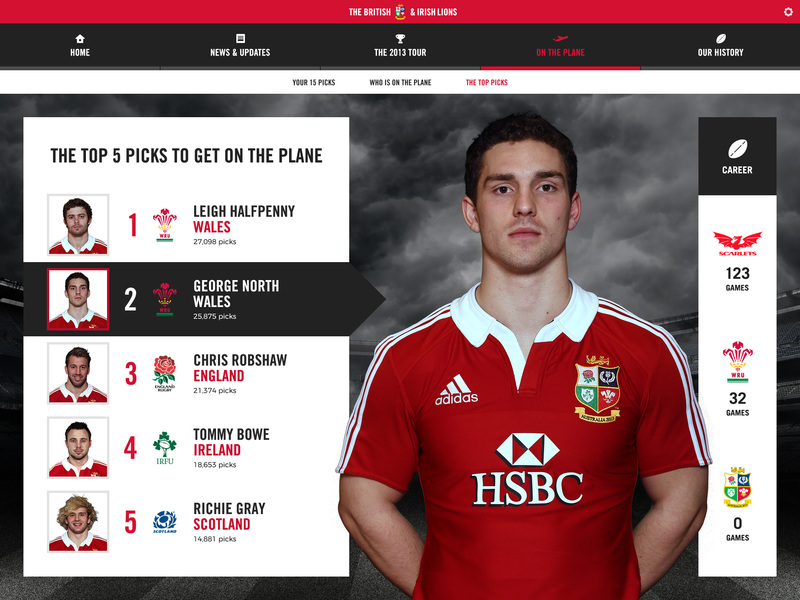 The British & Irish Lions is the pinnacle of Rugby Union. 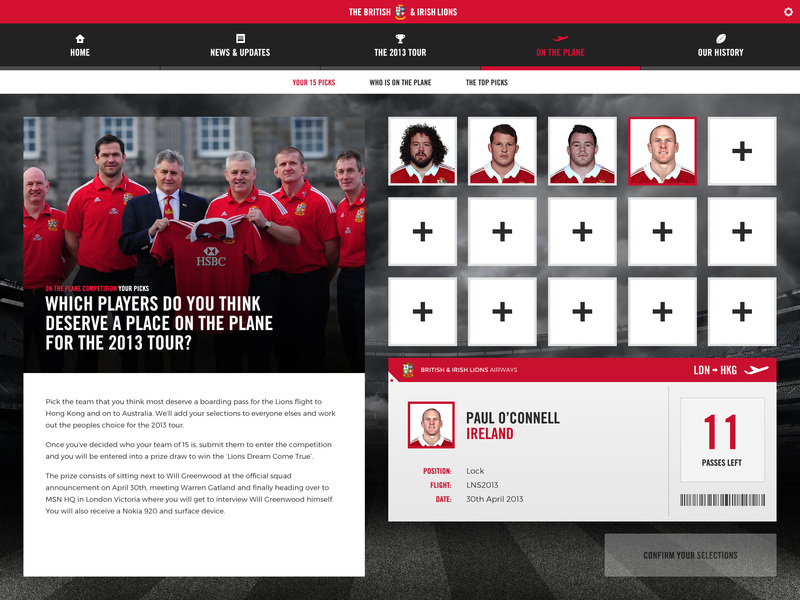 To be selected for The Lions is one of the greatest achievements for any British or Irish Rugby Union player. 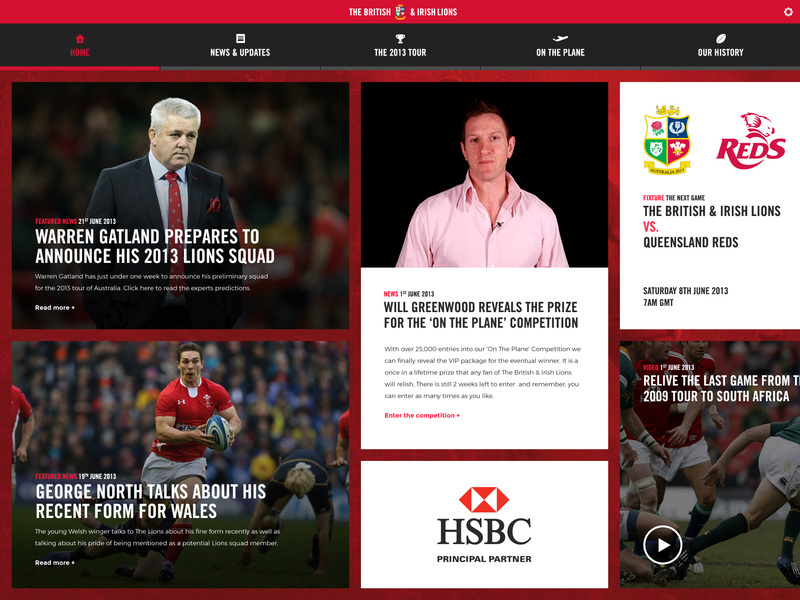 With past players such as Gareth Edwards, Fran Cotton and Mike Gibson, The Lions are a force to be reckoned with when they embark on their tour every 4 years. 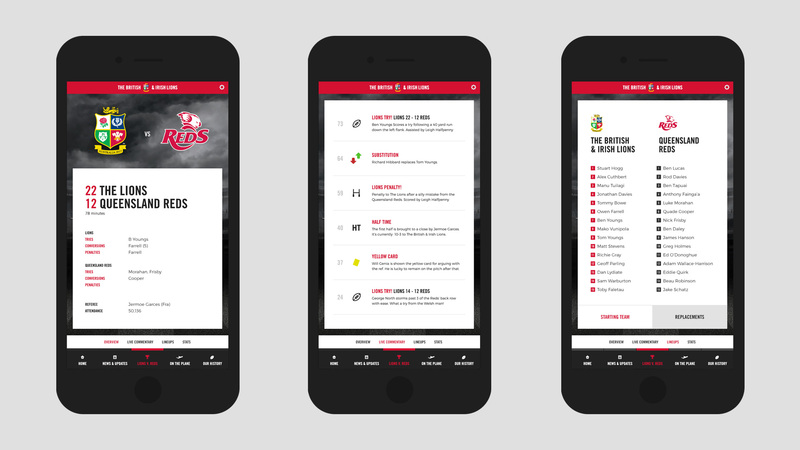 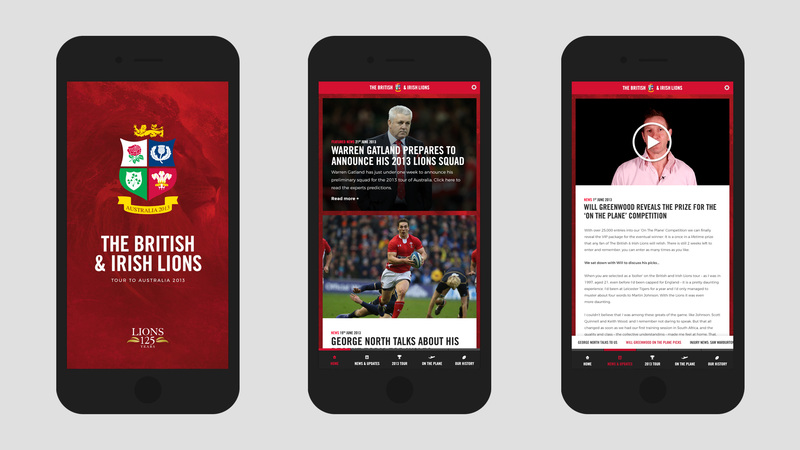 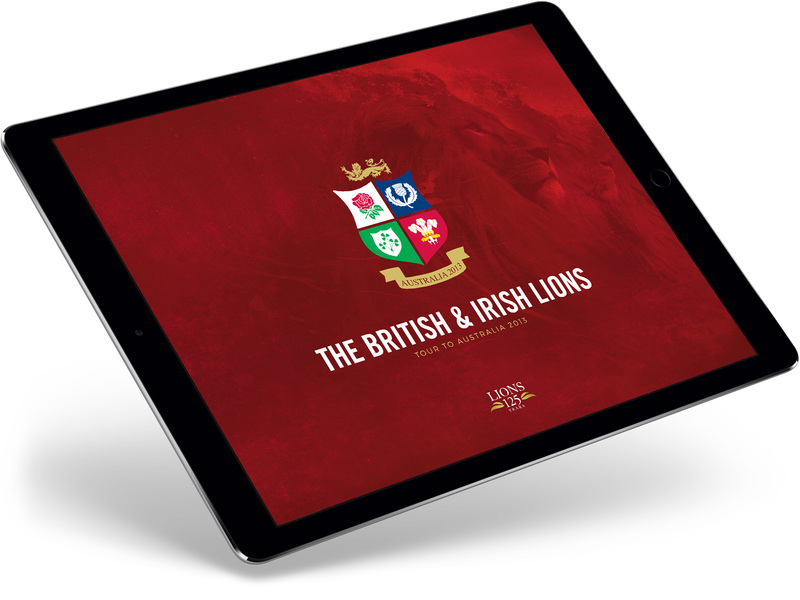 The Lions and Microsoft worked closely with Sequence Agency to design a cross platform app to bring the fans closer to the tour than ever before.